Hi everyone, it’s cold rainy autumn morning for me downunder so there is no better place to be then here in front of my computer! Hope you all are having a great Sunday wherever you are! Nicole’s latest Mini O – Anything is Possible is filled with so many gorgeous pieces! The colour scheme is just beautiful and I really had lots of fun with all the overlays, paints and styles that Nicole really excels at! 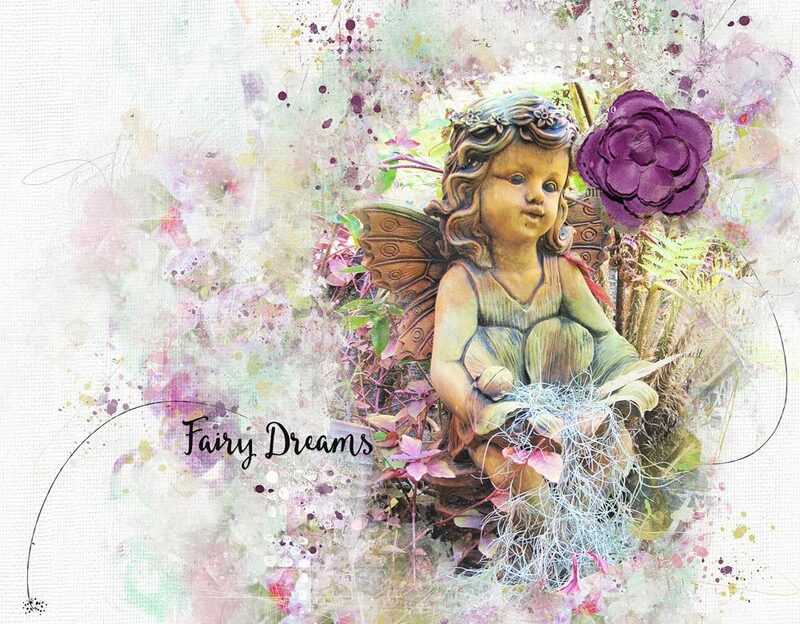 For my layout I used a photo of a fairy I have living in my back garden 🙂 Sadly I won’t be able to take her with me when we move but I know she will be in safe hands, living in my daughter-in-law’s garden! 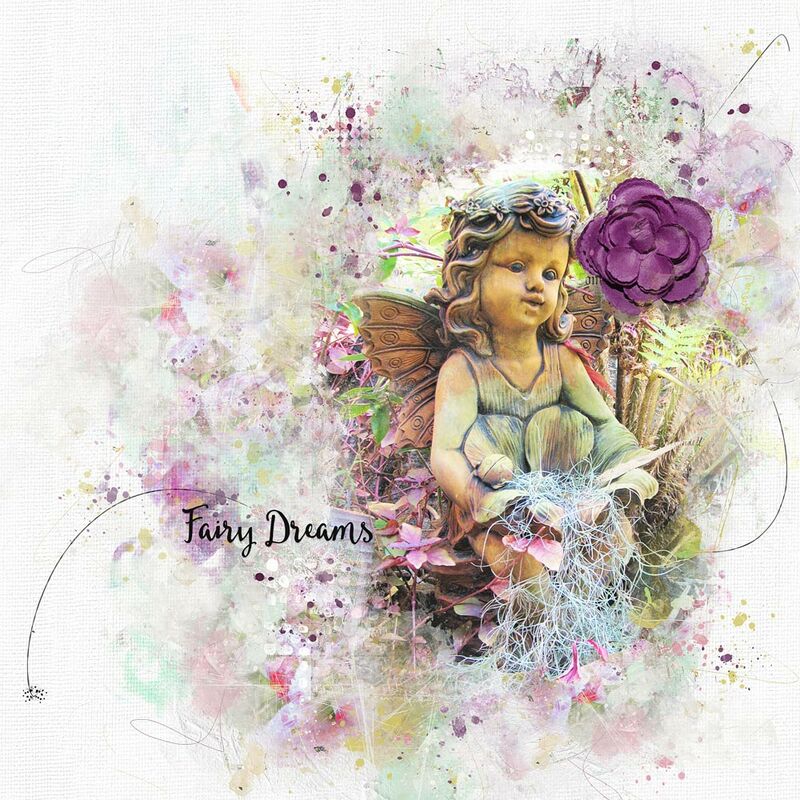 🙂 I used several blending masks to combine them into one and then clipped the fairy photo to it, from there I just played with the brushes and paints and generally just had a great time!